VU University Amsterdam, Faculty of Behavioural and Movement Sciences, Section of Clinical Psychology. Amsterdam, the Netherlands. Honorable Professor, University of Southern Denmark, Denmark. Chair Triple-E (EMGO+ E-HEALTH EXCELLENCE), Amsterdam, the Netherlands. Kolovos, S., van Tulder, M. W., Cuijpers, P., Prigent, A., Chevreul, K., Riper, H., & Bosmans, J. E. (2017). The effect of treatment as usual on major depressive disorder: A meta-analysis. Journal of Affective Disorders, 210, 72-81. doi:10.1016/j.jad.2016.12.013. Review. Lau, H. M., Smit, J. H., Fleming, T. M., & Riper, H. (2017). Serious Games for mental health: Are they accessible, feasible, and effective? A systematic review and meta-analysis. Frontiers in Psychiatry, 7, 209. doi:10.3389/fpsyt.2016.00209. Review. Vernmark, K., Hesser, H., Topoco, N., Berger, T., Riper, H., Luuk, L., Backlund, L., Carlbring, P., & Andersson, G. (2017, in press). Working alliance as a predictor of change in depression during blended cognitive behavior therapy. Fleming, T. M., de Beurs, D., Khazaal, Y., Gaggioli, A., Riva, G., Botella, C., Baños, R. M., Aschieri, F., Bavin, L. M., Kleiboer, A., Merry, S., Lau, H. M., & Riper, H. (2016). Maximizing the impact of e-therapy and serious gaming: Time for a paradigm shift. Frontiers in Psychiatry, 7, 65. doi:10.3389/fpsyt.2016.00065. eCollection 2016. Review. Van Ballegooijen, W., Riper, H., Cuijpers, P., van Oppen, P., & Smit, J. H. (2016). Validation of online psychometric instruments for common mental health disorders: A systematic review. BMC Psychiatry, 16(1), 45. doi:10.1186/s12888-016-0735-7. Review. 2017 – 2021: IMPLEMENTALL. eMental-Health Implementation, H2020, VUA & OUH, total 6.000.000 Euro, VUA, inGeest, RUG, 1.500.000 Euro. 2016 – 2020: CASPAR, Suicidepreventie, ZonMw, VUA & inGeest, 400.000 Euro. 2016 – 2020: INTERREG, eMental-health and transnational implementation platform North-West Europe. ARQ & VUA, total 5.313.000 Euro, VUA 800.000 Euro. 2016 – 2020: Kansen voor West, eGGZ Implementatie Centrum, ARQ & VUA, total 2.217.000 Euro, VUA 300.000 Euro. 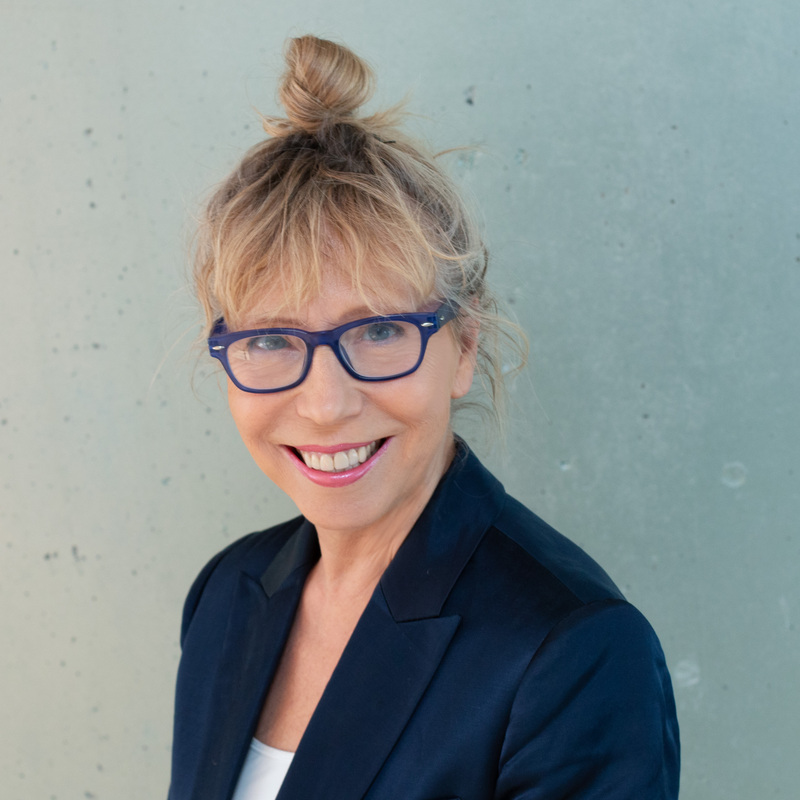 2015 – 2019: Horizon 2020 PHC 23 (CO-PI, 2 stage): Safe and efficient, prevention-oriented health and care systems (2 stage) total 6.000.000, VUA 280.000 Euro (Co-PI; PI: prof. Corinna Jacobi, Technical University Dresden, Germany). 2015 – 2018: ZonMw Doelmatigheid, DO 2015 Type 2A. Cost-utility and cost-effectiveness of blended eHealth treatment for severe anxiety disorders in secondary mental health care. (PI: Altrecht; Co PI VUA/inGEEST in collaboration with prof. dr. T. van Balkom, PhD student VUA), 341 K). 2014 – 2016: PI: European Commission 7th Framework Programme for Research: Comparative effectiveness research (CER) in health systems and health services interventions. FP7-HEALTH-2013-INNOVATION. E-COMPARED (European Comparative Effectiveness Research on Internet-based Depression Treatment. Budget: € 5.827.000 of which € 1,4 million for VUA/inGeest and 800.000 for Leuphana/Marburg University. 2014 -2016: PI-NL: Commission of the European Communities, CIP, DG CONNECT, Brussels, Belgium. MASTERMIND: MAnagement of mental health diSorders Through advancEd technology and seRvices – teleHealth for the MIND. Budget total € 7.000.000 of which 600.000 for VUA/GGZinGeest and € 600.000 for Marburg University/ Schon Clinic. 2012 – 2015: PI-NL: Commission of the European Communities, Ambient Assisted Living Program, Brussels, Belgium. eMentalCare – daily life management and monitoring system (platform/solution) for elderly with mental disorders. Budget: € 400.000. (VUA & GGZinGeest). 2012 – 2015: PI: ZonMw, Netherlands Organisation for Health Research and Development, Health Care Efficiency Research. Blended care for depression. Budget: € 137.039. 2012: PI: ZonMw, Netherlands Organisation for Health Research and Devel- opment, Prevention Program Mental Health, the Netherlands. State of the art eMental-health (‘kennissynthese 2012’). Budget: € 25.000. 2012- 2013: PI: Pameijer, Regional Health Service for People with Disabilities, the Netherlands. Feasibility study on online blended support for persons with severe psychological disorders in guided independent living settings. Budget: € 45.000. 2012 – 2013: PI: ZonMw, Netherlands Organisation for Health Research and Development, Prevention Program Mental Health, the Netherlands. ICT4DEPRESSION/ Moodbuster-Light for subclinical and moderate depression. Budget: € 100.000. Riper, H. (2016, 13 April). Patient, Science & Value driven eMental-Health – the good, the bad the better. Palo Alto: Palo Alto University eHealth Day. Riper, H. (2016, 22 April). Patient, Science & Value driven eMental-Health: Good, Better, Best. Amsterdam: eHealth EU Conference: Visit European Health Officer. Riper, H. (2016, 28 April). Patient, Science & Technology Driven Mental-Health. Esjberg (DK): SOCIAL IMPACT Conference. Riper, H. (2016, 30 May). Keynote by Skype: Theory, Patient & Data Driven – eMental-Health Research. Odense (DK): Conference Telepsychiatry Centre. Riper, H. (2016, 9 June). eMental Health – Klinische- Kosten- en Ecologische Effectiviteit. Groningen: Opleidingsinstituut PPO. Riper, H. (2016, 19 August). Thumbing for Mental Health. Basel: 5th International Conference on Families and Children with Parental Mental Health Challenges. Riper, H. (2016, 16 September). Duimen voor Psychische Aandoeningen? Zeist: Cancer Survivorship Task Force Meeting. Riper, H. (2016, 16 October). ‘Thumbing’ for Mental Health. Utrecht: Mobile Health Care Conference. Riper, H. (2016, 13 October). Blending Science driven eMental-Health in to Routine Health Care. Amsterdam: Amsterdam Public Health Research Institute. Riper, H. (2016, 12 November). Spotify Mental-Health for Depression and Anxiety: Personalise, Engage and Connect. Dallas: Int. Society for Traumatic Stress Studies. 32 nd Annual meeting. Riper, H. (2016, 22 November). eMental-Health for Depression and Anxiety: Personalise, Engage and Connect. Barcelona: World of Health IT/HIMSS. Riper, H. (2015, 8 April). Preventie die beklijft: Onderzoek dat leidt, Technologie die verleidt, Integratie die verblijdt & de patient die begrijpt! Rotterdam: Nederlands Congres Volksgezondheid. Riper, H. (2015, 1 May). Onderzoek dat leidt, De patient die begrijpt, Technologie die verleidt, Preventie die beklijft! Amsterdam, Nederland: VUmc: Preconceptiezorg, quo vadis? Riper, H. (2015, 16 May). Personalise, Engage and Connect, eMental-health for Common Mental Disorders. Warsaw, Poland: SWPS, University. Riper, H. (2015, 4 June). Geen toekomst voor de GGZ zonder eMental-health. Feit of Fictie? Arnhem, Nederland: DISCURA. Riper, H. (2015, 3 July). Social Psychiatry in the Age of Informatics. Geneva, Switzerland: 2nd European Congress for Social Psychiatry. Riper, H. (2014, 8 July). eMental-Health, Quantifying Patients, Therapist & Communities. Amsterdam, the Netherlands: UvA, International Summer School Addictions. Riper, H. (2015, 25 September). Digitale Behandeling van Probleemdrinken: de Effectiviteit Voorbij. Zwolle, Nederland: Motiverende gespreksvoering in Nederland, Hogeschool Windesheim. Riper, H. (2015, 30 September). Patient, Science & Value driven eMental-Health. Badhof Gastein, Austria: 18th European Health Forum Gastein. Riper, H. (2015, 21 October). eMental-health, the good, the bad and the better. Odense, Denmark: European Telemedicine Conference. Riper, H. (2015, 14 October). Spotify eMental-Health: Personalise, Engage & Connect. Porto, Portugal: Stop Depression: Instituto Superior da Maia (ISMAI). Riper, H. (2015, 17 November). Spotify Mental Health: Personalise, Engage, Connect. Eindhoven: Healthy Lifestyle Solutions Conference: Philips Group Innovation, Research. Riper, H. (2015, 1 december). eMental-Health: Good, Bad, Better. Utrecht, Jaarbeurs: eHealth Implementatie Congres, Bohn Stafleu van Loghum. Riper, H. (2015, 10 December). eMental Health: Denken én Doen. Utrecht, Nederland: IMPREEZE. My press appearances includes interviews for national television, radio and newspapers, magazines, websites and other national and international periodicals. AD (29 december 2015) ‘Digitale behandeling razend populair in Nederland’. Marcia Nieuwenhuis. NU.nl (29 december 2015) ‘Gebruik onlinetherapie gestegen in 2015’. PZC (29 december 2015) ‘Hulp online groeit explosief’, Marcia Nieuwenhuis. MindDistrict, Interview Heleen Riper, 15 years of eMental-health. Youtube: www.youtube.com/watch?v=qN00FKgXQUc (november 2015). NPO Wetenschap, (4 november 2015) De Kennis van Nu: ‘Online gedragstherapie neemt hoge vlucht komende jaren’. Valentijn van der Lende. Ad Valvas 3 (30 september 2015) ‘Therapeuten werken te weinig met nieuwe media.’ Welmoed Visser. Smarthealth.nl: (10 september 2015) ‘Blog: de eerste hoogleraar e-Mental-Health in Nederland.’ Jorne Grolleman. Counselling Magazine (8 september 2015) ‘Digitale psychologische hulpverlening nog beter in te zetten’. Zorg &Welzijn (27 augustus 2015). ‘Digitale behandeling ggz biedt kansen’ Marianne Velsink. GZ-psychologie 3 (april 2015) ‘Toekomst ggz ondenkbaar zonder eMental-health’ Jorn Hövels. Cogis, Cogiscope 03 (maart 2015) ‘Implementatie van digitale zorg gaat langzaam.’ Maarten Dallinga. Counselling Magazine: thema ‘E-Health’ (februari 2015) ‘Blended care heeft de toekomst’ Christine Beenhakker. Trouw (28 augustus 2014) ‘De psycholoog kijkt mee via internet’ Iris Pronk. The Voice of the American Psychiatric Association and the Psychiatric Community (19 feb.2014) Equal Benefit for Minorities From Psychotherapy, Study Finds. Leergang Sarphathi Initiatief, Academische Werkplaats Publieke Gezondheid (21 januari 2014). Interview met Heleen Riper “Smartphone is straks je toegang tot zorg” door Yvonne van Osch: http://sarfati.nl/?page_id=1114. Young Gasteiners (2014). 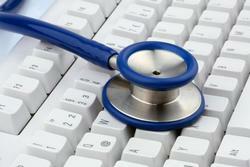 Blog, ‘Deploying eHealth, The time to hesitate is over!’ http://www.ehfg.org/conference.html. European Parliament Magazine (22 Sept. 2014). Accelarating upscaling of eMental Health in Europe, H. Riper en J. Smit. 397, page 27. https://www.theparliamentmagazine.eu. Altinget (velfaerdsteknologi, 9. december 2014) Ekspert, Heleen Riper: Online-behandling løser Sundhedsudfordringer. PsychoPraktijk, december 2013 (6, nr. 5). Interview met Heleen Riper: ‘Blended behandelingen bepalen het komende e-mental health tijdperk’: 6 – 7. Tracer (VUMC), november 2013. Blended care voor depressie, interview Heleen Riper. Volkskrant, 30 oktober 2013, Geestelijke zorg kiest steeds vaker voor onlinehulp. inDrukken (GGZ inGeest), juni 2013. ‘Een teachable moment via de smartphone-app’, interview met Heleen Riper. Tracer (VUMC), juni 2013. Blended care voor depressie, interview Heleen Riper. Zorgvisie / ICT, maart 2013, special issue Zorg & ICT beurs. Interview met Heleen Riper: ‘Elke zorginstelling beseft dat de toekomst bij e-health ligt’ door Mario Gibbels (cover story). Algemeen Dagblad, 13 december 2012, Internettherapie vermindert suïcidegedachtes onder depressieve patiënten. Ingezonden brief: P. Cuijpers, H. Riper en F. Schalken. UWV Magazine, Aan het lijntje gehouden (en toch geholpen), mei 2012. Radiointerview: OBA Live – 2 mei 2012. Theodor Holman in gesprek met de hoofdgast van de avond Heleen Riper, over psychische zorg op afstand. Zuidas Amsterdam, maart 2012, interview (http://www.zuidas.nl/interviews). Plus Magazine, 12 februari 2012, M. v. Santen – Heleen Riper, interview. Frankwatching.com: Wybo Vons, interview met Heleen Riper, 26 januari 2012 (www.frankwatching.com/archive/2012/). Voor ieder wissewasje naar je huisarts? Dat hoeft echt niet meer. Vanuit je luie stoel of je ziekbed iets vragen aan je behandelend arts? Medische vragen worden steeds vaker ‘uitbesteed’ dankzij Zorg 2.0: smart-phones, iPods en Twitter. Volkskrant 30 januari 2010. ‘Mobiel stoppen’ door Ben van Raaij. Radio 5 – OBA Live – 2 mei 2012. Theodor Holman in gesprek met de hoofdgast van de avond Heleen Riper, over psychische zorg op afstand. Steeds meer fysieke en psychische zorg vindt plaats via de computer. Hoe werkt dat, zorg op afstand? Prof. dr. Heleen Riper is expert op het gebied van e-health. Bekijk hier de videoregistratie. NOS – 10 oktober 2009 – Radio 1 interview Psychologische hulp via internet succesvol Psychologische hulp via internet is een groot succes. Het is bewezen effectief, goedkoop en laagdrempelig. Nederland is koploper op het gebied van online geestelijke gezondheidszorg. Radio 5 – OBA Live – 2 juli 2010. Joep Schrijvers in gesprek met Heleen Riper, directeur van I.COM (Onderdeel van Trimbos instituut: Centre of Mental Health & Technology). Heleen Riper is een rijzende ster op het gebied van e-health, psychische gezondheidszorg met nieuwe technieken en methoden via internet. Wat drijft haar, wat wil ze, wat is er mogelijk?